Psychology chair Stephen Chew reconnected with a distinguished Samford alumnus while speaking at his own Alma Mater in Oct, 2013. 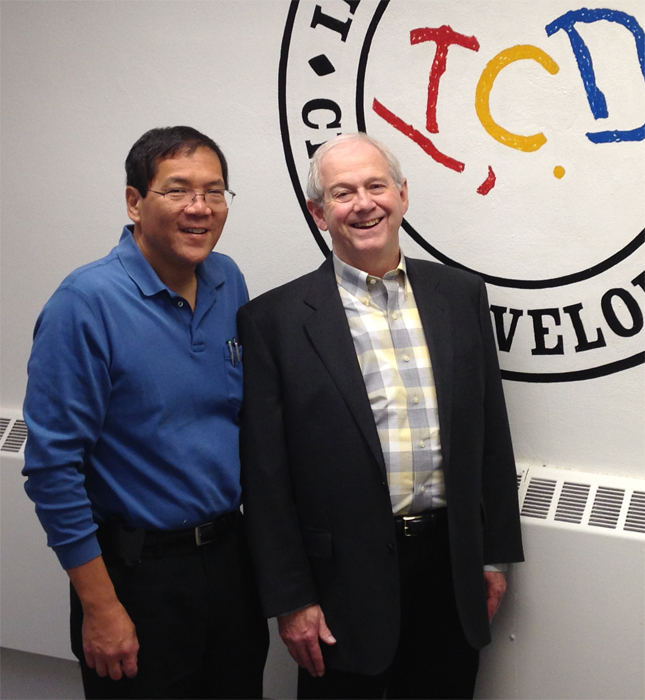 Andy Collins (JMC, '67) is Distinguished University Teaching Professor in the University of Michigan's Institute of Child Development. Collins spoke at Samford many years ago at Chew's request, and the pair caught up as Chew led a colloquium for the UM Department of Psychology.